“How to Use Avidemux” book gives us all the information we need to make great use of Avidemux. 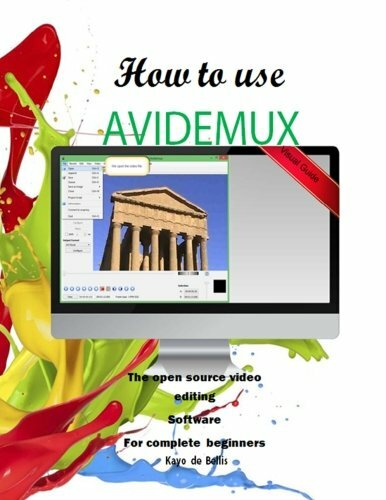 It provides a practical tutorial for using all of the Avidemux features to edit our videos, add special effects and subtitles and capture great quality videos from analogue sources, and much more. We will also learn how to choose the right settings to get video file sizes down without compromising on the video quality. This book is written by an Avidemux enthusiast for new and intermediate users. It's ideal if we are just starting with video processing and want a powerful and free tool, or if we've already started with Avidemux and want to take it a little bit further. Kayo de Bellis is an IT System Administrator at a Training and Development Company based in the United Kingdom. He has more than 20 years of experience designing, deploying and administering IT infrastructure in a wide range of organizations around the World and São Paulo, New York, London, and Paris. Kayo has been involved in giving IT support and consulting to Trading Companies, Financial Institutions and institutions linked to the stock market. With a degree in Business Administration and Foreign Trade and a BTEC in Computer Science, fluent in English, Portuguese and French he has developed an IT view in a multi-National environment. He also has been involved in various extracurricular activities such as writing documentation for IT training courses and Guides in IT and other fields like Popular Science. Kayo also has a Military formation background where he also developed some IT skills and a passion for Cryptography and electrical engineering. Kayo is very passionate about his community. He’s been contributing to some charity institutions and the Red Cross to give support for homeless in Brazil and United Kingdom distributing food and resources to these communities on the street. He lives in London with his wife and daughter.